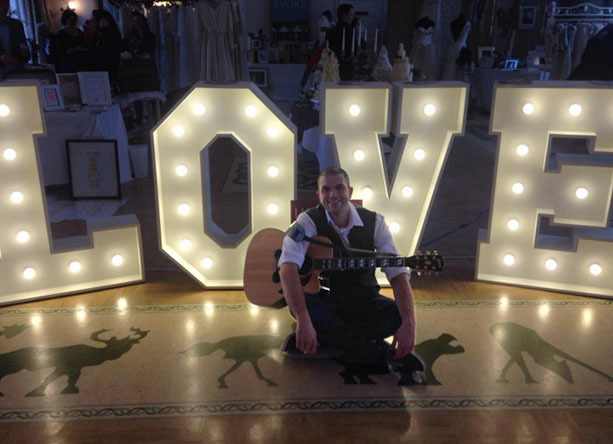 Wedding Guitarist Blog: Live music at your wedding – Hints, tips and what to expect! It’s mid-April and things are starting to hot up here in Bristol… and I’m not just talking about the weather. Us folks in the wedding industry are readying ourselves for the Summer season. I’ve had a few beautiful Spring weddings already, but the real fun starts next month! With a couple of weeks before my next wedding, I was doing a bit of admin and chatting with brides-to-be, and it occurred to me that many of the same questions come up time and time again. 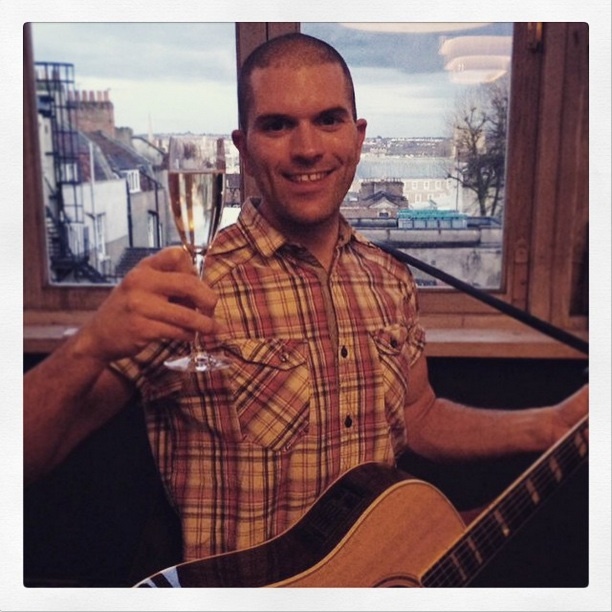 So I thought I’d put together a little blog post about booking a live musician such as myself. I’m getting married myself next year, so I can completely sympathise with brides and grooms-to-be who are planning their big day! If there’s one thing I can definitely help with, it’s music… so, from my personal experiences, here’s my hints & tips – and things to avoid – when booking a live musician for your wedding. When arranging your wedding entertainment, finding the right musician is undoubtedly the hardest bit. Everyone’s wedding planning experience is different. Some people will know exactly what they want, some have a rough idea of how the day will pan out, and some don’t know where to start! There’s a bewildering choice of wedding suppliers, and music is no exception. Yes, it’s a dull and practical place to start, but the first thing you should do is set a limit for how much you can afford on entertainment. I’ve read bridal magazines that suggest you should set by at least £2000 for entertainment – but then I’ve read blogs and articles that put the figure nearer £650. Although us wedding musicians don’t like to admit it, we are usually one of the later considerations when it comes to budget. Essentials such as the dress, the venue, flowers and photography are always going to take priority – so I don’t ever take offence when people say my prices are over their budget, because I know how quickly costs can add up! I would take advice from magazines and websites with a pinch of salt – your budget is as much as you can afford. Set a figure you’re happy with – if you come in under budget, brilliant, but also be prepared to go a little over budget if you find a band or musician you really love. What time of day is best for live music? This is another factor which will affect what type of musician you choose. An obvious time for music is during the evening – I’ll look at this in a moment, but there’s lots of options for the daytime too. 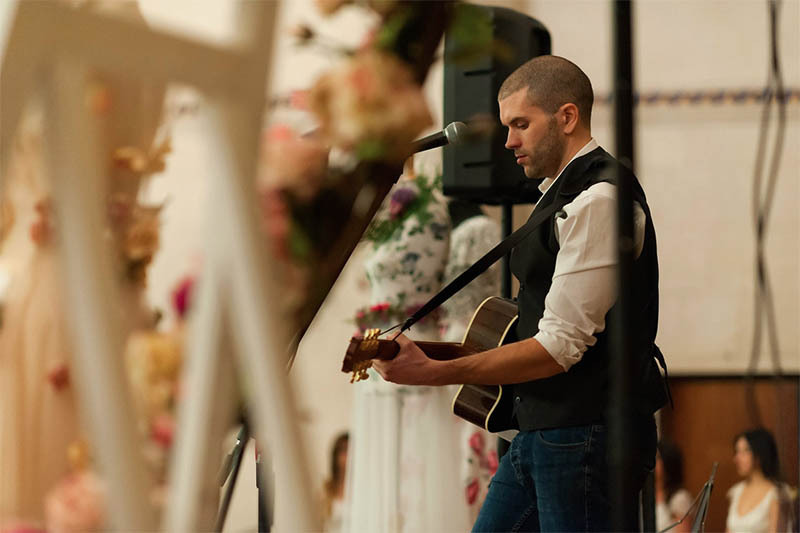 I’ll approach this question purely from my position as a singer and guitarist – I get bookings for all parts of the wedding day, so this is just my personal opinion on what works best. Every wedding schedule is different, but most commonly I’m booked to play at the wedding ceremony and following drinks reception. This always works well in my experience – as guests arrive I’ll play 20 minutes or so of music to set a relaxed atmosphere, then I’ll play during the ceremony and for an hour or so afterwards, before guests head in for the wedding breakfast. If you hadn’t thought about the time following the ceremony, you may well want to consider booking someone like myself to entertain guests while you’re having photos taken, and people are having refreshments. It can be a great way to fill the gap between the ceremony and wedding breakfast. This is especially true if you’re lucky enough to hold your wedding outdoors with good weather. Something about acoustic guitar and sunshine just works! Another increasingly popular option which works really well at weddings is afternoon tea. What’s better than sitting outdoors on a warm British Summer day with a cup of Earl Grey and a slice of cake, or a lovely cream tea?! Live acoustic music is a perfect accompaniment for this kind of setup. most live musicians will take requests, so if you have a particular song in mind for the walk down the aisle, and/or the exit of the married couple, ask if they can play your song. I send the bride and groom an mp3 version of their song at their request, so that they can hear how my acoustic version will sound. bear in mind that the walk down the aisle often doesn’t take very long! Most songs are 3-4 minutes long, and the walk is often less than a minute. In this case, I would adapt the length of the song to suit, so that it ends at an appropriate moment. the signing of the register is another nice time to have a couple of songs – in my experience this usually takes about 5 minutes, so time to have a couple of songs played. Again, for my weddings I welcome song requests. I think many people would love to have a great band play at their wedding – but it can be difficult to pick one. The internet is great for finding people, but you really need to see them live to get a flavour of what they do. This can be a bit tricky for dedicated wedding bands – because they’re always at weddings! DJ’s again are a tricky one – there’s many out there of varying quality (I have a couple of recommendations on my site for DJs) and unfortunately you don’t really have the option of seeing them do their thing before the big day (unless you’ve seen them at a friend’s wedding). So again, word-of-mouth is your friend here, and if you are booking someone you found on the internet, try to meet up with them to get an idea of their personality. You can usually expect to pay around £400 for a good DJ. Make sure they have good quality equipment which is PAT tested yearly, and bear in mind that some venues will require public liability insurance. These two points apply to bands and musicians as well. I hope that some of this blog is helpful if you’re planning your wedding and looking for live music. 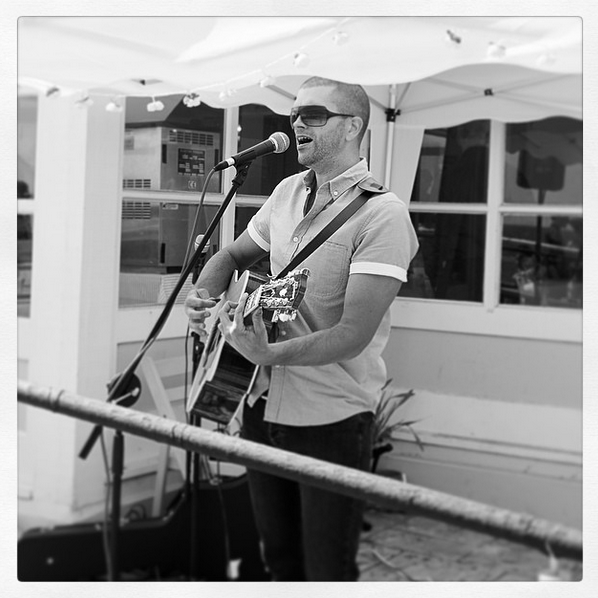 Good luck with your search for the perfect musician, and of course please do get in touch if you’re considering my acoustic guitar/singing for your wedding day! 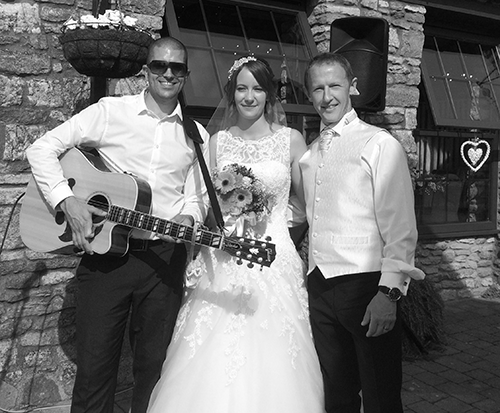 Written by Pat McIntyre, guitarist for weddings based in Bristol. This entry was posted in Wedding Guitarist Blog and tagged acoustic, band, bands, Bath, Bristol, ceremony, entertainment, event, guitar, guitarist, idea, ideas, inspiration, live music, music, musician, reception, singer, wedding, weddings by Pat McIntyre. Bookmark the permalink.